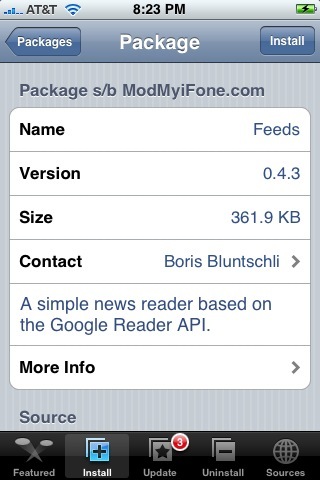 The update to version 0.4.3 of Feeds, a native iPhone RSS reader application, makes some subtle changes to the icon and updates the splash screen. It also adds three additional language translations; Czech, Russian and Sweden. Other than that, the app seems to look and function the same as in the previous version. 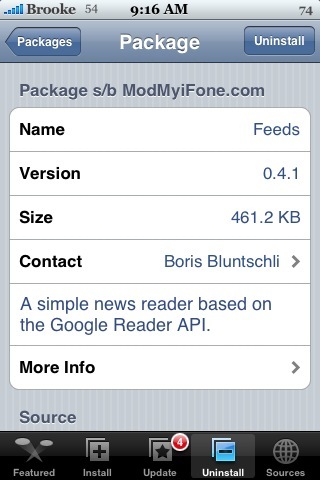 You can get Feeds via the ModMyiFone source.